Stand out from the crowd in a Mazda2. It's striking good looks and high performance are guaranteed to turn heads. The Mazda2 is the perfect expression of KODO Design with its attractive exterior which shelters an innovatively ergonomic, spacious and refined cabin with high quality finishes. Stay connected like never before with Mazda2. The innovative MZD-CONNECT SYSTEM is a 7" colour touch-screen display that opens up a whole new world of driving (Not available on 75ps SE and 75ps SE-L models). Connect a compatible mobile device and you will be able to enjoy thousands of internet radio stations worldwide. Even more, you'll be able to safely access, check and respond to text messages whilst also keeping up to date on social media. The intuitive Multimedia Commander paired with the touchscreen makes for an effortless yet exhilarating driving experience. Mazda2's Climate Control Air Conditioning offers a comfortable driving environment, whilst adding style with satin chrome dial finishes. In addition, the Engine Start/Stop Button puts ease at your fingertips by providing a convenient way to start and stop the engine, without the need for a key. The renowned SKY-ACTIV Technology focuses on improving fuel economy and reducing emissions whilst maintaining the enjoyment of driving. Mazda 2 is not just a car, but an experience. The striking styling of Mazda2 sets it apart from the crowd. The sporty design delivers a solid stance, muscular body and flowing contours. Mazda2 incorporates the elegant KODO: Soul of Motion Design which enhances the connection between driver and car. Mazda2's eye-catching exterior contains the innovatively ergonomic, spacious and stunningly refined cabin with superb quality finishes. The lightweight body makes for a smoother, more unified drive whether you are on the city streets or motorway. Inside Mazda2, it's easy to see that the design is built around the driver and it gives the impression that it is an extension of your body. The handcrafted interior contains the redesigned steering wheel and colour co-ordinated seats for next level sophistication. Available in 7 grades, 8 colours and 4 trim styles you'll be spoilt for choice when choosing your new Mazda2. Every detail has been perfected to unite you with your Mazda2. Mazda2 combines driving enjoyment with protective features to ensure you have a safe yet thrilling drive. The i-ACTIVSENSE delivers an incredible range of safety features including monitoring sensors and cameras that help you as the driver to view your surroundings and protect against any external factors. The active and passive safety systems in the Mazda2 work collaboratively to warn the driver of any potential dangers and help to avoid or reduce the severity of a collision. The SKYACTIV-Body incorporates lightweight high-tensile steel for incredible crash protection.  The Lane Departure Warning System is designed to alert the driver if the vehicle unintentionally strays from it's lane. A front-view camera monitors the the road ahead and ensures the car stays within the lane markings. In addition, Mazda's Smart City Brake Support makes sure there is always a sufficient gap between the Mazda2 and car in front by monitoring the gap using a laser based system. This system will automatically apply the brakes during low speed driving when a collision could be likely.